Speaking recently to journalists in Madrid, Mr Barroso, who is a former Portuguese Prime Minister, said that the European Union (EU) is discussing the possibility of modifications to its Cuba policy, and that this will require the blessing of all of Europe’s 28 member countries. Although Mr Barroso did not elaborate, his reference was to the likely agreement when Europe’s Foreign Affairs Council meets on 10 February, to the Commission’s proposals that Europe negotiate a form of association agreement with Cuba. 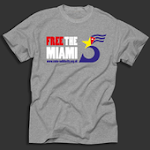 While this will be welcome in Havana and in the Caribbean, taken together with the US’s slowly evolving policy on Cuba, it should be seen as a signal to Caribbean governments and the region’s private sector to begin to plan for the eventual end to the regional economic vacuum that Cuba has been placed in since 1960. Since late 2012 a draft negotiating mandate has been under consideration and Cuban officials and the European Commission have with the support of EU members states been trying, at times with difficulty, to chart a way forward. In late 2013 one final stumbling block arose that still has to be resolved. Then, EU permanent representatives postponed consideration of a recommendation from the European Commission to the Council to authorise a mandate that would allow the EC to open negotiations for a political dialogue and a co-operation agreement with Cuba. The delay reflected concerns raised by some EU member states over a technical legal issue. This relates to whether negotiations, once begun, might under some circumstances be halted. The delay meant that any decision on formal adoption by the Council of Ministers has had to wait until behind the scenes consensus could be achieved with a small number of concerned member states that are understood to include Germany and on the matters of principle involved. Once agreement between member states has been reached, however, negotiations are expected to proceed. The European Commission is expected to propose an arrangement in some respects similar to that signed between Europe and Central American states last year. It is expected to contain language on political, economic and development matters; will provide a framework for dialogue on issues of mutual concern; is expected to enable the provision of development assistance; and may possibly contain arrangements for asymmetric preferential trade. 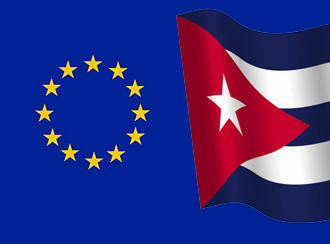 Although liberalised trade has not been high on Cuba’s agenda, it is believed that this could become a component of a future association agreement as Cuban goods entering the EU have since the start of this year ceased to benefit from Europe’s Generalised Scheme of Preferences (GSP), making them less competitive. Separately, the EC is understood to have reserved sums in its development budget for future assistance for Cuba. The high level confirmation of a change in Europe policy follows from recent positive statements on the need to improve relations by EU states previously regarded as taking a hard line on dialogue. It also coincides with an increasing tendency by EU member states to bypass the EU’s common position by signing bilateral agreements and memoranda of understanding with Havana that facilitate broad based exchanges on issues from trade to counter-narcotics interdiction and cultural exchange. 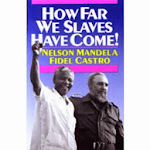 The EC President’s remarks follow comments in Havana in early January by the Dutch Foreign Minister, Frans Timmermans. The visit, the first by a Dutch Foreign Minister since the Cuban revolution, involved two-days of high level exchanges during which he stressed the need for an improvement in the European Union’s relations with Cuba. He also signed a broad based bilateral agreement that allows for the Netherlands and Cuba to engage in political and other consultations. As such it was one of a small number of such documents signed recently or being negotiated by EU nations, and marks a further move away from the European Union’s 1996 Common Position on Cuba, which contains political conditions unacceptable to Cuba and that until recently, had all but halted exchanges between Cuba and most EU nations. Mr Timmermans said that the Netherlands was now particularly interested in strengthening bilateral links noting the economic transformations underway in Cuba and the business opportunities this offered. A delegation of businessmen accompanied him. He also praised Cuba’s efforts to bring an end to what he described as the last violent conflict in the region, a reference to Havana’s hosting of peace talks between the Colombian government and local rebels. The visit was particularly striking as the Netherlands is a staunch advocate of human rights and democracy and actively supports dissident organisations in Cuba. Mr Timmerman’s visit, like President Barroso’s remarks, coincide with changing US thinking on Cuba, although the pace at which US exchanges with Cuba on functional issues will move forward and their breadth is still far from certain. Some Europeans suggest that Europe’s interest in an association agreement with Cuba is being driven by a desire to have an agreement in place before any improvement take place in US-Cuba relations. Whether this is true or not, a formal association agreement with Europe would enable not only a much closer relationship with Cuba but also mean that the EU would have reached agreement with the only Latin American and Caribbean country with which it has no form of broad based political and economic arrangement. Recent developments in Europe and the US in relation to Cuba point once again to the Caribbean needing to consider carefully how it will respond to the possibility that a neighbour and friend may slowly emerge as a competitor after a long period of economic isolation.